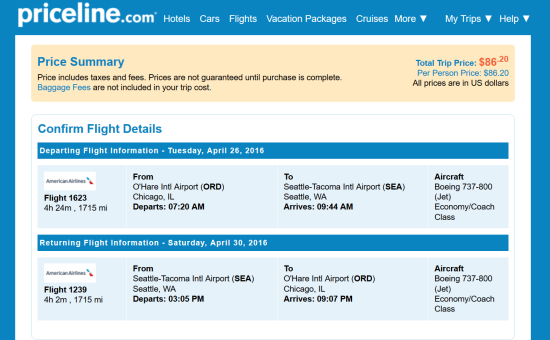 A good sale for nonstop service to/from Seattle. Availability is extremely limited – if you can make it work, enjoy. Update 3/25/2016 @ 4:00AM Eastern – United matched. Post search instructions updated and availability is good with United. Support us by using our Priceline link to book with dates found on ITA Software Matrix Airfare Search. Make sure you enter “American” or “United” on the Airline textbox under the Advanced Options section of the form.